Changes in education policy have far-reaching effects. Become an agent of change at Curry. Our Educational Policy program provides a theoretical foundation and appropriate, research-based methods. Our graduates know how to prove their recommendations will work, which empowers them to make broader changes in education policy. The end goal, as always, is improving the educational outcomes of children and young adults by using evidence-based research to support policy changes. Following graduation, Curry alumni often take positions in academia as postdoctoral fellows or as education researchers in research organizations. Effect sound policies that improve the educational outcomes of children and young adults. Learn more about earning a Ph.D. in Education—Educational Policy Studies from Curry. The Ph.D. in Education—Educational Policy provides students with preparation that draws on a theoretical foundation and employs appropriate methods to offer evidence on important education policy questions. While coursework is important to student preparation, a close mentoring relationship with faculty is crucial to the design of the program. Students work closely with faculty on research projects to examine the impact of a variety of educational policies on student outcomes. Graduates are prepared to take positions in academia or research organizations. 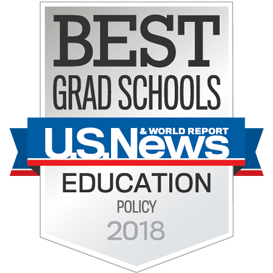 The Curry School of Education and Human Development and the Frank Batten School of Leadership and Public Policy offer a dual degree program that leads to the completion of a Ph.D. in Education Policy and MPP degrees in five to six years. The joint collaboration between the schools enables you to focus on important questions of educational policy and implications for the workforce. You will have plenty of opportunities to work with other students and faculty in research projects, and in classes within and across cohorts. Working Paper: Is Kindergarten the New First Grade?